Boys’ Latin School Cole Jarrett picked the right time to emerge from his season-long struggle at the plate on Thursday afternoon against Severn in a Maryland Interscholastic Athletic Association B Conference playoff game. With two runners aboard and the top-seeded Lakers leading, 2-1, in the third inning, the sophomore right fielder smoked a shot that carried over the fence in left field for his first home run of the spring to blow the game open in what turned out to be a 9-2 BL victory. The win advances coach Bill Greenwell’s club into the enviable position of reaching the championship round of the double-elimination tournament on Sunday at Ripken Stadium in Aberdeen — weather permitting — against a yet-to-be-determined opponent. Freshman right-hander Sam Grace picked up the win for Boys’ Latin (15-8 overall), allowing just one hit while walking one and striking out three Admirals (19-7). The lone hit off Grace was an absolute bomb by Jack Elsner that sailed well over the fence in left-center field to give Severn a 1-0 lead in the opening inning. Grace matched that run when he was hit by a pitch with the bases loaded in the bottom of the first by Severn starter Ryan Jack, who then wiggled out of the jam by striking out the next two Lakers to keep the teams deadlocked, 1-1. BL went ahead, 2-1, in the second inning on sophomore third baseman Pat Luterman’s sacrifice fly that scored junior catcher Matt Purnell. In the third, though, the Lakers’ bats awakened with Jarrett’s blast and two more RBIs by Luterman on a single that knocked Jack from the game and brought in crafty right-hander Jimmy Riley to end the rally. Senior Tommy Esposito’s single increased the lead to in the fifth inning until Luterman’s double drove made it 9-1 with his fourth RBI of the game. Severn touched Ned Ruffin, who replaced Grace in the sixth inning, for a run on a bases-loaded walk to Tyrek Thornton before the hard-throwing sophomore retired the Admirals in order in the seventh to secure the win that puts the Lakers in the conference driver’s seat. Greenwell added that he had no qualms about starting a freshman in such a key game. Jarrett said that he has complete faith in Grace. “The main thing about Sam is that, whether his on the mound or at the plate, he’s a gamer,” Jarrett said. In his final inning of work with Admirals on first and second and two out, Grace was aided by a diving stop by senior shortstop Mark Lopez, who sprang quickly to his feet in time to throw out the runner and snuff out the threat. Veteran Severn coach Hal Sparks, whose team beat BL, 9-4, in the regular season finale last Sunday, has been around the game long enough to understand its ups and down. Severn is scheduled to host the tourhanement’s final elimination game on Saturday for an opportunity to advance to Ripken to battle BL. 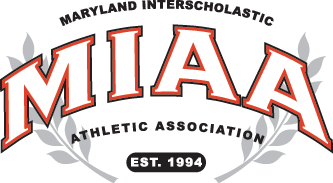 The Admirals will face either Glenelg Country or Annapolis Area Country, who battle on Friday in Gambrills. Glenelg Country stayed alive, Thursday, with a 15-4 win over St. Vincent Pallotti. The Dragons scored three runs in the first, six runs in the third and six runs in the fourth innings. Every starter scored in the five inning game. Alex Beglan, Jack Adamson, Marcus Khademi, Will Bartlett, and Michael Fagan each had two hits. Brendan Grady pitched the complete game giving up four runs (3 earned) on five hits to earn the victory.